You can view the 2018 schedule here. We are honored to offer two wonderful keynote speakers for MEGAComm 2018. We are very very thrilled to announce that Jon Medved of Our Crowd will be our keynote speaker in the morning…with a wonderful closing keynote by Stefan Gentz, who will speak about the attention span of a goldfish…we kid you not! Opening Keynote: Jonathan Medved on Startup Nation update; how can this message keep on getting better and better? Caveat: Things are moving quickly so this list is currently tentative! In this session, Stefan Gentz will discuss how Information 4.0 is becoming the backbone of Industry 4.0. He will explore how DITA feeds the tekom standard iiRDS, The International Standard for Intelligent Information Request and Delivery, and will give practical examples of intelligent information in Industry 4.0 and IoT scenarios. He will discuss how DITA, CCMS, MTS, RDF, and chatbots will form the future customer experience and introduce you to Adobe’s Information 4.0 Framework. We start by giving an overview of the challenges involved in providing Industry 4.0 or Internet of Things devices, with the required technical content for installation, use and maintenance. We assume the content is multilingual and highly dependent on the specific, configurable target device. Content has to be completely in sync with the fast update cadence made possible by agile development methodologies. Content updates have to be automatic, global, specific, safe, size optimized and cryptographically secure. We provide an overview on how a Component Content Management System (CCMS), tightly integrated with a Content Delivery System (CDS), addresses all of these challenges with manageable complexities and costs. Every tech writer uses screenshots, but how do they work? For example: What is 32-bit color, aren’t 24 bits enough? Why are my images sharp in Word and fuzzy in PDF? Why is the text unreadable in the online help? When is PNG better than JPG, or vice versa? What are CSS image sprites and how can I use them in my online help? And if I need to edit an image, what tools are accessible to writers with modest artistic skills, on a modest budget? What is UX writing? What kind of things does the UX writer write? Some basic principles of UX writing (short, simple, different tones, importance of how the text looks)? 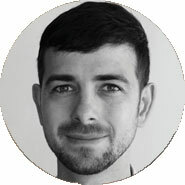 Who the UX writer works with and the general process, where does the UX writer fit in? A Controlled Language is a set of rules and a vocabulary. When a writer uses a CL, the text is easier to read and cheaper to translate. When a team uses a CL, you can perfect consistency among authors. This session introduces the concept of CL, shows some examples (ASD-STE, IBM Easy English, Caterpillar Technical English), and gives tips and tools to help you build your own. Knowledge of CL is a must if your docs are translated or if you write as a team. Videos are taking on an increasingly important role in the field of technical communication. So how can we ensure that the content we are creating is optimized, effective and meeting our viewers’ needs and expectations? Based on a number of studies and the analysis of hundreds of videos, this session will provide a series of data-driven insights into proven video design principles while taking viewers’ behaviors and expectations into account; providing the session participants with many recommendations they can apply to their own work. Proper API naming works the same for API users as intuitive UIs for end users: it reduces the need to read documentation. To ensure intuitive UIs, authors invest into proper UI texts, but almost never delve into API naming, considering it a developer area. Developers, in turn, don’t not always have the necessary skills for making their API naming clear, self-explanatory, consistent, meaningful, unambiguous, and compliant with the industry naming conventions. That’s where we authors can make a difference. The goal of this session is to equip authors with the necessary knowledge and tools to bravely enter this grey area. Professional Technical Communicators carefully analyze content and write the best possible information for their users. But how do they know what level of user compliance is occurring (that is, are the users are actually following the instructions)? This session examines the factors that influence user compliance, including age, gender, culture, and industry and presents tips and ideas on increasing user compliance in product documentation. By now, everyone has heard of the benefits (and costs) associated with migrating documentation to cloud-based tools, or, at least, to the content- and version-management parts of documentation systems. This session looks at how “evergreen” cloud tools, which are often disregarded by Documentation and IT departments, can dramatically improve Documentation Team productivity, cohesion, and value delivery. Millions of organizations worldwide are now using Office 365 (including over 70% of the Fortune 500 companies). Many more are currently migrating to Office 365, or planning such a migration. We will look at how small and large Documentation teams can make use of Office 365 workloads to better cope with a world where technology, and business, are changing ever more rapidly, and where security risks are high, and getting higher. We will examine less frequently used capabilities, such as SharePoint Online, OneNote, Teams, Forms, Delve, Sway, and Flow – to evaluate what practical benefit can be gained from each. Career Strategies – Where to from here? This session is designed to get people to think more about different areas of technical communication, how to build a career plan, some productivity tips, and more. In this presentation we will examine five easily implemented steps which will include using on-line tools, best practices and tricks of the trade that can make any technical writer look like an expert localization manager. Stories are powerful forces influencing how we understand the world and how we behave. Marketers can tap into that potential through immersive stories designed to educate and engage people, that ultimately persuade them to take action. Transmedia storytelling generates impact by embedding stories into people’s day-to-day lives, as well as, conversely, inserting real world opportunities in stories. This is a technique that can be used to provide emotional touchpoints with your product or service as well as to create social impact. 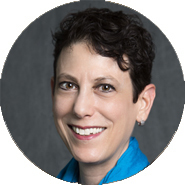 Nedra Weinreich helps nonprofits, public agencies and other socially minded organizations create positive change on health and social issues through social marketing and transmedia storytelling strategies at Weinreich Communications since founding the company in 1995. She helps organizations around the world make a difference for the populations they serve by strategically designing programs that draw on state-of-the-art behavior change techniques, digital media approaches and the power of stories. Nedra is the author of the widely used book “Hands-On Social Marketing: A Step-by-Step Guide to Designing Change for Good” (now in its 2nd edition). 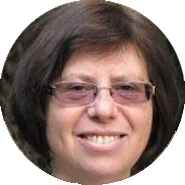 She is the founder of the Transmedia for Good Network and an expert advisor to TechForGood Israel. She is also on the Editorial Board for Social Marketing Quarterly and is a member of the Board of Directors of the International Social Marketing Association. Many Israeli B2B start-ups and growth ventures think that major customers, corporate partners, and investors are in the control — they know what they need and recognize it when they see it. Well, successful corporations and early stage investors don’t think it’s so simple. Making major purchases, solving complex business problems and screening investments has never been easy work. And now in the digital age of information overflow and opportunity selection, the result is that it’s harder and longer to make a deal. The solution is for Marcom to make identifying qualified deal opportunities easier. Easier for the sales force and executives in the Israeli venture; and easier for a prospective customer, partner or investor too. This session is for CXO executives and sales and marketing professionals at B2B start-up and growth ventures. The focus of the session is on how to align market communication with the best generic sales strategy. The emphasis will be on practical hack selling techniques that enable innovative Israeli companies to make major sales/partnership/investment deals with target corporations and investors. David Miles is Managing Partner at Guided Leads, provider of B2B Lead Generation Solutions for transaction selling, solution selling and hack selling. Guided Leads puts you in front of your target prospects so you look good and they want to learn more about you. 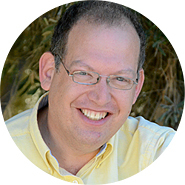 Previously, David was CMO at DiscoverCloud and a Fintech service provider in Tel Aviv. He has been a sales training manager and sales consultant to companies including AOL, Percepta Partners, and eCommerce clients. Additionally, David was a freelance SEO professional. David earned his Masters degree in Communication and New Media from The Sammy Ofer School of Communications, IDC Herzlia. 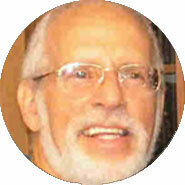 David specialized in Communication Strategies in the Digital World. His BA is in Business Administration. Optimizing content for the web can be at odds with creating captivating content. Technical SEO considerations can at times preclude the creative flair that allows a piece of content to stand out. How then can you engage an audience while making a piece of content visible on the web? Is there a way of avoiding the catch-22 that is creating content that ranks well, but doesn’t captivate? Marketers who create any form of web-based content, or are involved in its distribution, and would like to bring some additional value to their content in a holistic and broad way. 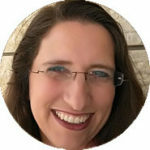 Mordy Oberstein is Content Manager at Rank Ranger, responsible for producing highly engaging content across social media, blogs, video, and advertising channels. 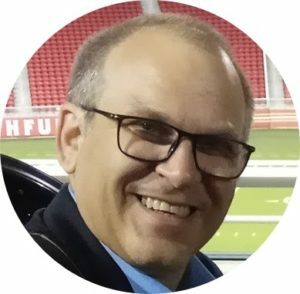 He is dedicated to producing helpful and original content related to search engine optimization and online marketing techniques and trends. Too often today’s marketers get caught up in how to use the latest technology to run a cutting edge campaign and don’t stop to remember the ABCs of creating effective advertising. In this fun voyage down memory lane, veteran marketer and Internet pioneer, Charlie Kalech, looks at some basic lessons we should keep in mind from yesterday’s classic commercials. 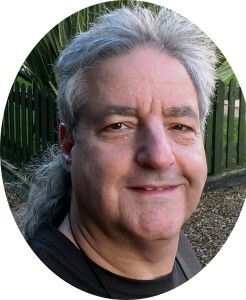 Charlie Kalech is an international Internet business & marketing strategist helping clients to use technology to achieve their business and marketing goals. He has been driving innovative solutions for his clients since before the Internet was licensed for commercial use and the visual web began. As an Internet pioneer, he taught people across the world what the Internet was and how to use it for building both businesses and international organizations. By 1996, Mr. Kalech had already launched digital media in the Former Soviet Union, Europe, India, Israel and North America. 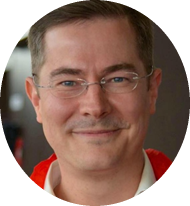 As an expert and pioneer in cross-cultural and multi-national digital communication integrating business and marketing goals with technology, Mr. Kalech has worked on projects in over 30 countries on every populated continent. He is the founding director of Jerusalem’s senior digital agency, J-Town Internet Services Ltd.
Short Talks followed by Q&A Yoel Israel, Wadi Digital and Maxime Seligman, Leadlike; Moderated by Charlie Kalech, J-Town Internet Services Ltd.
Yoel will explore LinkedIn’s new tools. Since Microsoft bought LinkedIn, they rolled out amazing brand new features to help B2B startups reach their marketing and advertising objectives, rapidly and affordably. Maxime will present a free tool that you can use for measuring your segmentation success on Facebook and Instagram. He will also present case studies based on his work with one of Israel’s top health companies to reach the French community in Israel, with a telecom company targeting Americans in Israel, and with an Israeli hi-tech company to reach iPhone users around the world. Each of these examples generated thousands of relevant leads without mass marketing costs through segment niche marketing. Following two short TED-talk-style talks, These Social Media Experts will answer your questions. 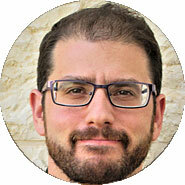 Yoel Israel founded WadiDigital to help startups here in “Silicon Wadi” with digital marketing and advertising in particular. He loves startups and helping! He loves data too, with a finance background and education – Yoel uses his strong analytical skills to A/B test, segment and interpret data from marketing and advertising campaigns into actionable marketing solutions. Maxime Seligman’s digital agency Leadlike specializes in precisely targeting its campaigns in order to increase its clients’ conversion rates and tap into Facebook’s win-win algorithm. 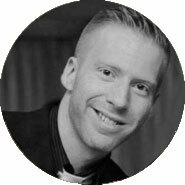 Maxime Seligman has worked in online marketing since 2008, providing digital marketing services through Leadlike.com, consulting for major companies in France and Israel, and teaching at Vatel Business School, the Galilee Institute and for the Ministry of Agriculture. In 2015 he opened Web School in Jerusalem to train online community managers. Maxime has overcome a chronic disability (he uses a wheelchair) to become an expert in digital marketing, first in his native France and now in Israel.